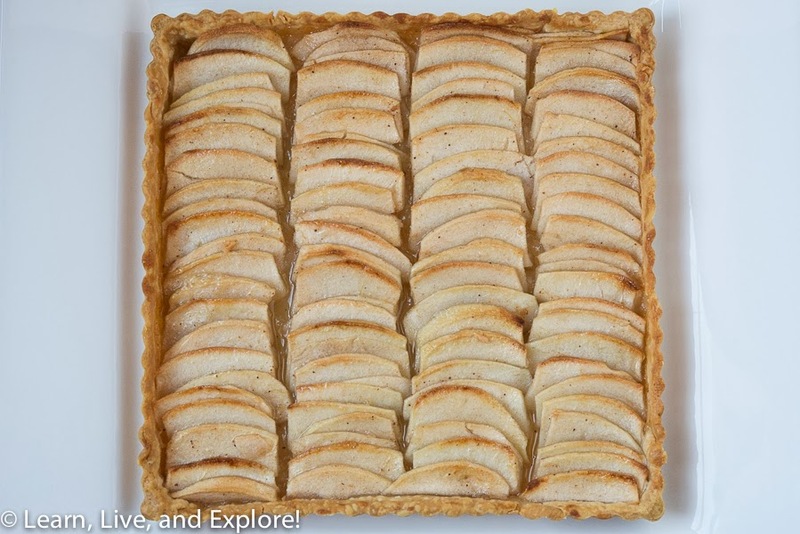 My "Americanized" Tarte aux Pommes - or Apple Tart ~ Learn, Live, and Explore! This is a great alternative to the traditional apple pie for the holidays, especially since we always seem to never really have room for dessert, if we are being honest, yet still cram piles of pie in our mouths. 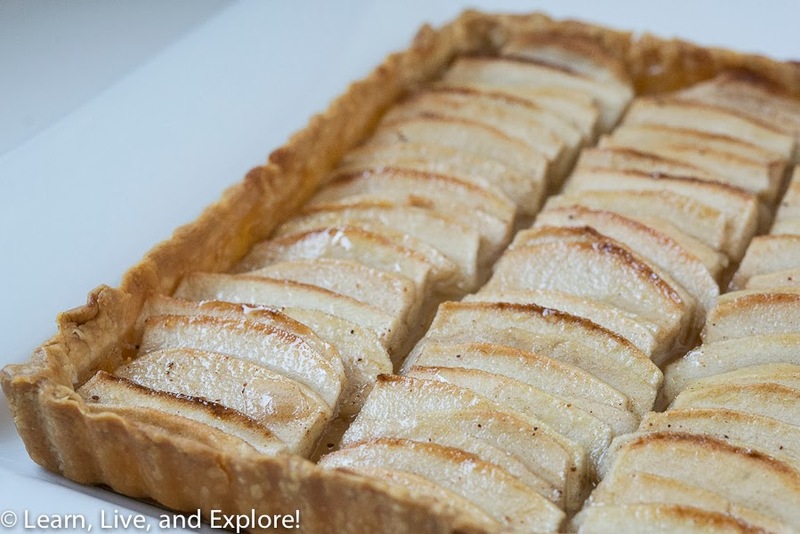 Based off of the french apple tart, or tarte aux pommes, I've modified the recipe a bit to give it more of an American apple pie taste, with a surprise: a glaze made with orange liqueur! Oh la la! Also, to make life a whole lot easier during the stressful holiday feasts that we prepare, I'm going to give you some great news...I baked this with pre-made pie crusts!! Yep! I used a 9" square tart pan with the removable bottom, and it took one roll plus just a smidge more from the second roll of pre-made dough, so unfortunately there's some dough waste unless you can figure out how to use it in another dessert. Tarte aux Pommes - "Americanized"
When you are ready to serve, this particular shaped tart is very simple to cut, following the rows and cutting each into the thirds, thus serving 12 people. 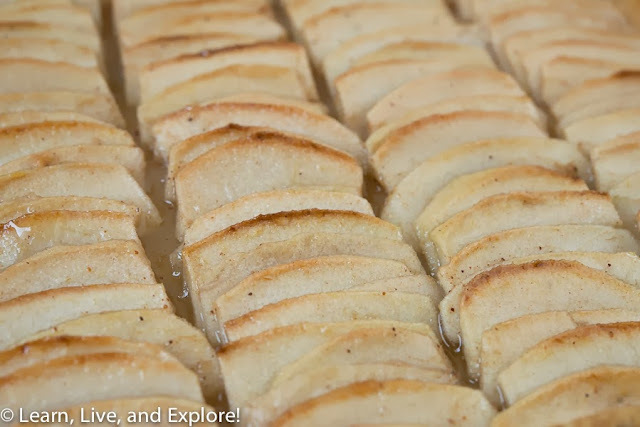 These are not particularly hearty portions, but if you've had a big dinner, this dessert is perfect to provide a little something sweet to finish off the meal and to give you all the flavors of apple pie without getting even more stuffed.